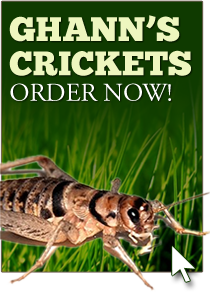 Clean, healthy crickets available in a variety of sizes. 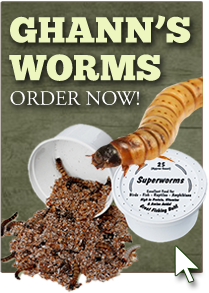 Several types of worms available in a variety of sizes. 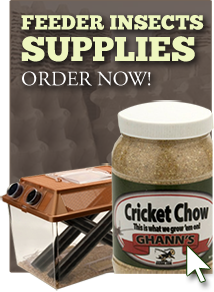 variety of feeder-insect supplies & Feed. 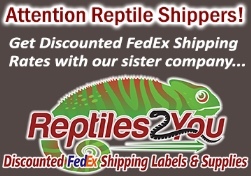 WE NOW HAVE DUBIA ROACHES! 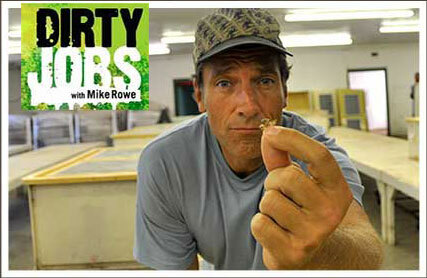 Ghann's Cricket Farm was featured in an episode of Dirty Jobs starring Mike Rowe, filmed in June 2009 at our facility here in Augusta, GA. A quick search on YouTube for "Dirty Jobs cricket farm" will direct you to some of the best highlights of that amazing experience!